On My Wishlist is hosted by Book Chick City. The meme runs every Saturday and is meant to be a list of books you want but haven’t bought yet. They can be new books, old books, pre-release books, books in your imagination… Ok, I’m not certain on that in your imagination part, but carry on anyway! This is the first time I’ll be participating, but hey, I’m starting to like this whole meme thing. I’m getting to know a lot of people through them, lots and lots of really nice people. Lucy has nine months to break an ancient curse in order to save both herself and her unborn daughter. Inspired by the ballad “Scarborough Fair,” this riveting novel combines suspense, fantasy, and romance for an intensely page-turning and masterfully original tale. Lucy is seventeen when she discovers that the women of her family have been cursed through the generations, forced to attempt three seemingly impossible tasks or to fall into madness upon their child’s birth. But Lucy is the first girl who won’t be alone as she tackles the list. She has her fiercely protective foster parents and her childhood friend Zach beside her. Do they have love and strength enough to overcome an age-old evil? I’ve never heard of the book “Room” before, but judging from its description, I’ve no doubt that it is indeed a fantastic read! I’ll also add this one on my wishlist. Thank you so much for putting it on the spotlight! I’ve read Impossible and loved it. I want to read “Of Bees and Mist.” My wish list is here. 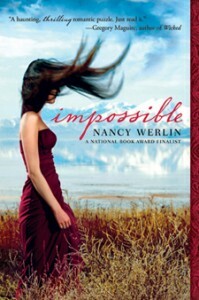 I’ve seen the cover for Impossible (I like the cover) but I hadn’t read the blurb until now! I’m adding this one to my TBR list. Thanks for mentioning it! Hope you get all these added to your collection soon! Here’s my wishlist for this week. I’ve seen Room around and it looks fascinating…I also like the look of Of Bees and Mist. 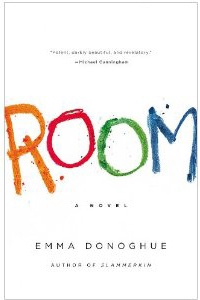 Room sounds like an intriguing story – one that could be heart wrenching as well…think I’ll check it out!